In an industry where inches on heels seem to be a direct resemblance of stature, it is quite refreshing to see designers bringing a little bit of comfort back into the game. So, in a serious attempt to prepare for fall, I have found myself building my wardrobe from the ground up (literally, by starting at my feet) this season, and expanding my range from 5 inches and up, to a flatter version of what is defined as chic. This season we saw flatter footwear in the collections of Lanvin, Celine and Phillip Lim . Now, one can hear the cries of joy coming from style mavens around the globe, because their feet are finally able to enjoy the comforts of smaller heights this season. Of course, loafers have been seen on the feet of style editors and front row fixtures for some time now. However, with so many new designers jumping on the bandwagon, there are so many options for us to choose from. 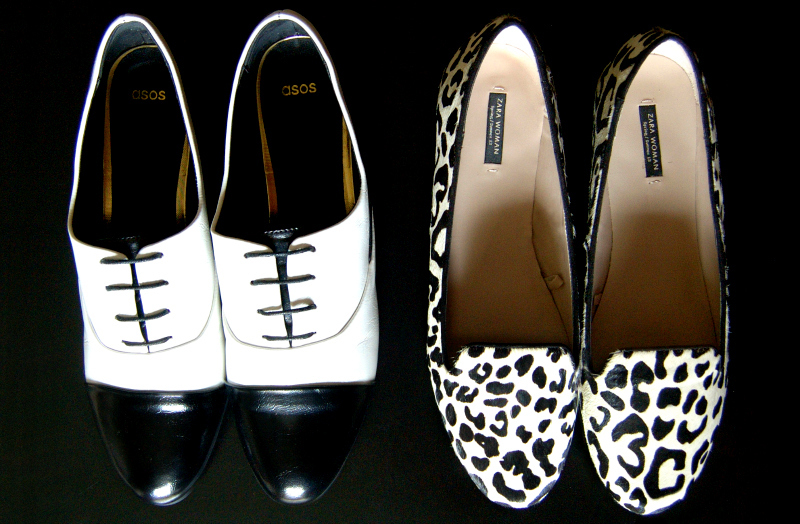 Are you a loafers kind of gal, or will you be rocking brogues with your dresses this season? Am with you on that….. It’s lovely to see beautiful footwear that are not in high heels, for instance the Loafers is lovely and I think is hightime I get one of these. Both! I have brogues in brown leather that make my looks a little more polished and I recently bought a pair of loafers in black patent leather. I think is a good idea to have both because they can change the same outfit depending on which one you wear, and you will always be comfortable. Can’t wait to see you wearing them!! I just say yes to both! Both styles can make any outfit chic and still comfortable. M.
Lovely shoes! I’d do anything for a pair of Celine platforms. Great post! I always think loafers may look too sloppy but your review helped convince me. They can definitely count as chic footwear! I’m more a loafers gal than the other, I feel too manly sometimes in brogues and don’t think I pull the look off properly LOL! I love them both!! but I love all kind of brogues so…I would choose them!! I will be buying both chic styles for fall – I used to wear brogues with everything (prob a little too much) and now I need a new pair and I looove these!! I love brogues. I just have a thing with them over any kind of shoe.